These cheeky "owl eye" embroidery scissors are small but hefty! A must-have for hand embroidery projects! These shears are very sharp – perfect for cutting thread, ribbon and other textiles, without becoming dull. Also make them ideal for embroidery! Yes, you can also use these to cut Crafty's wool felt! 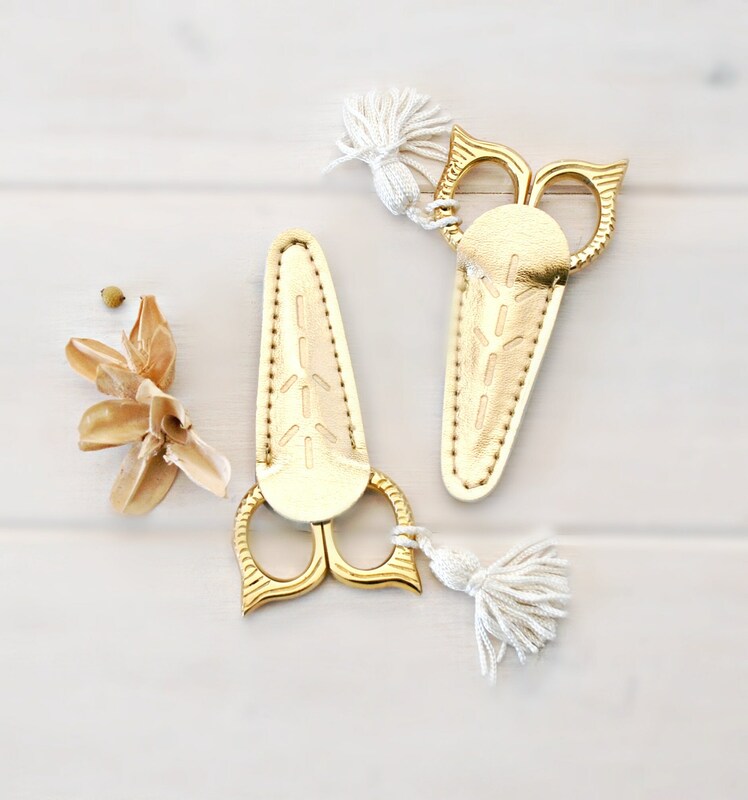 Come embossed gold sheath (non-leather/vegan) & tassel. 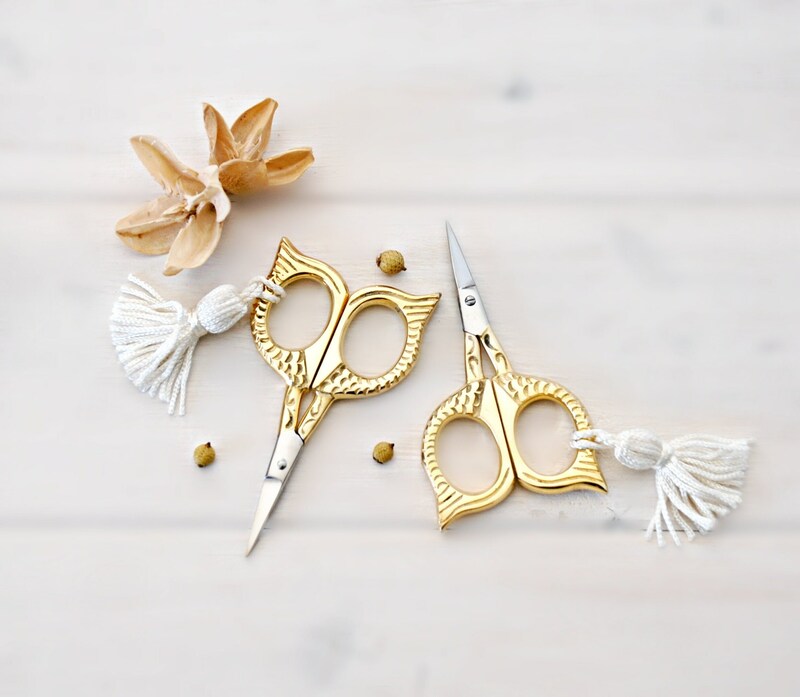 These snips are super cute!